Premium built-in BBQs, outdoor kitchens and BBQ accessories. 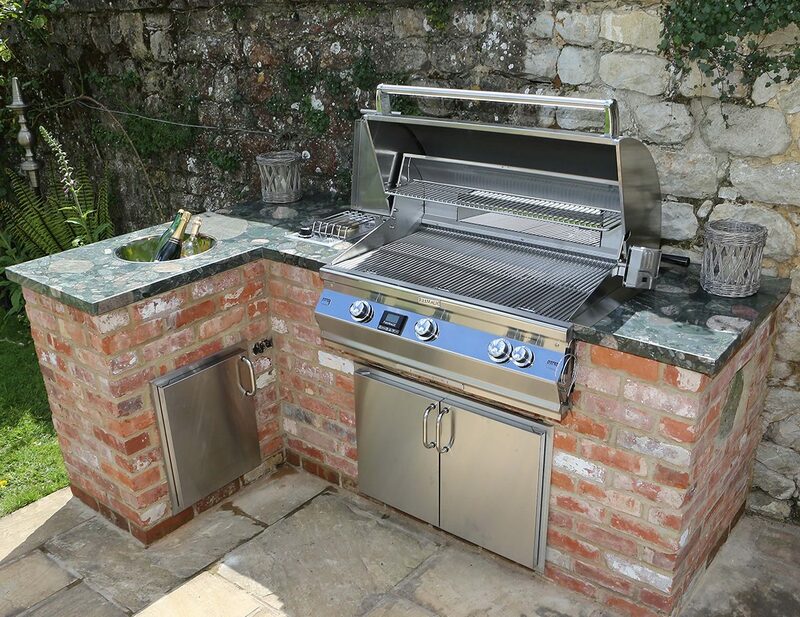 Fire Magic barbecues are the premium outdoor kitchen brand in the UK and Europe. Offered with a life-time warranty, Fire Magic products are the very epitome of luxury outdoor living. 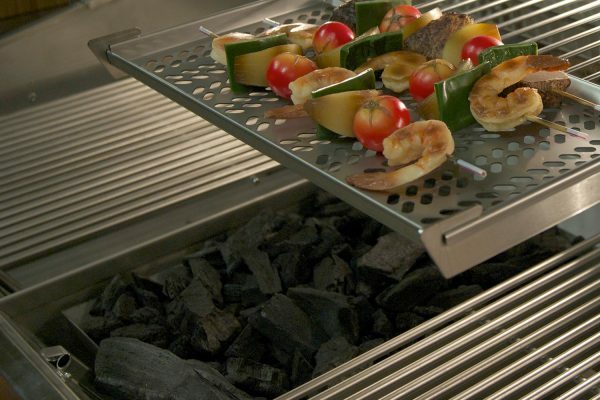 These market leading, American made BBQs, are available throughout the UK and Europe from The Lapa Company. 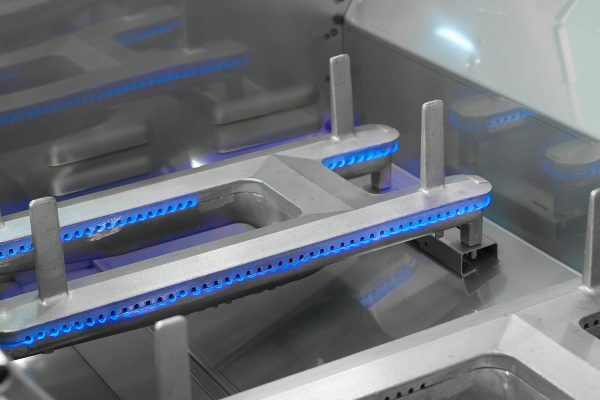 Featuring the latest contemporary design, all of our barbecues are made from premium stainless steel and can operate as bottled, natural gas BBQs or charcoal BBQs. 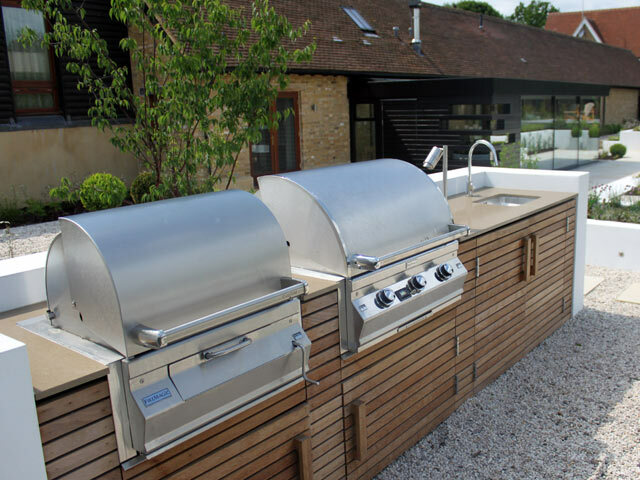 We have many years of experience as designers creating the ultimate outdoor kitchens, garden kitchens and built-in BBQ areas. 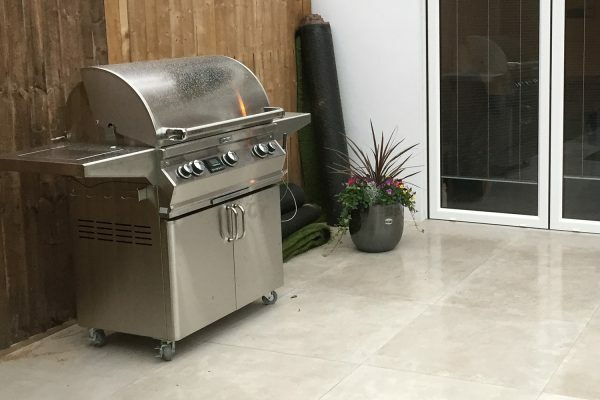 We are always happy to support landscapers, garden designers and individuals in the design of their Fire Magic barbecue area, and you can see examples of projects we have designed or assisted with, via our Outdoor Kitchens gallery. 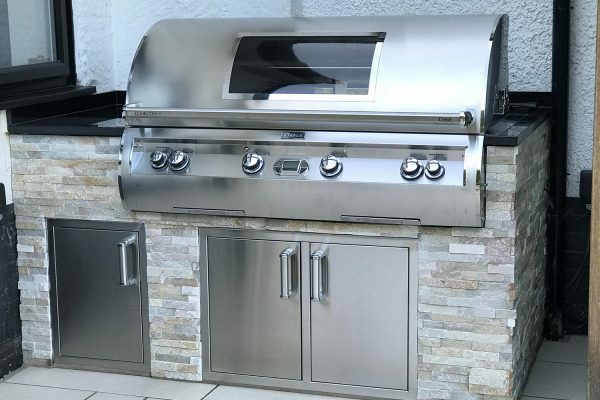 In addition to our broad range of built-in and stand-alone BBQs we also have a range of accessories to help you create your ultimate Outdoor Kitchen. This range of BBQ accessories includes Warming Drawers, Bar Caddies, Side Burners, Drawers & Sinks, as well as Cupboards and Tools. 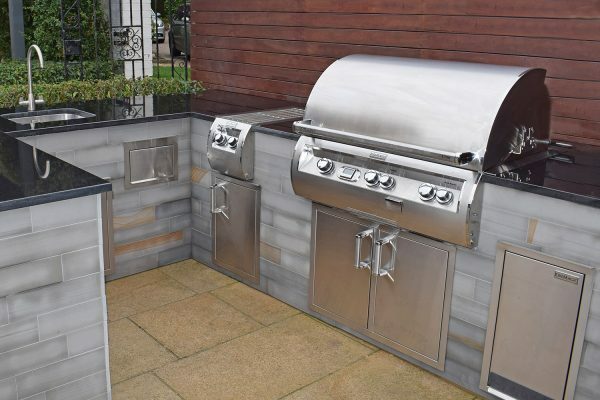 If you are looking for the highest quality stand-alone BBQs, Outdoor Kitchen equipment, or are looking to create a unique BBQ Island then please do not hesitate to give us a call. Fire Magic Outdoor Kitchens combine professional built-in BBQ models with our extensive range of storage and other deluxe BBQ accessories. 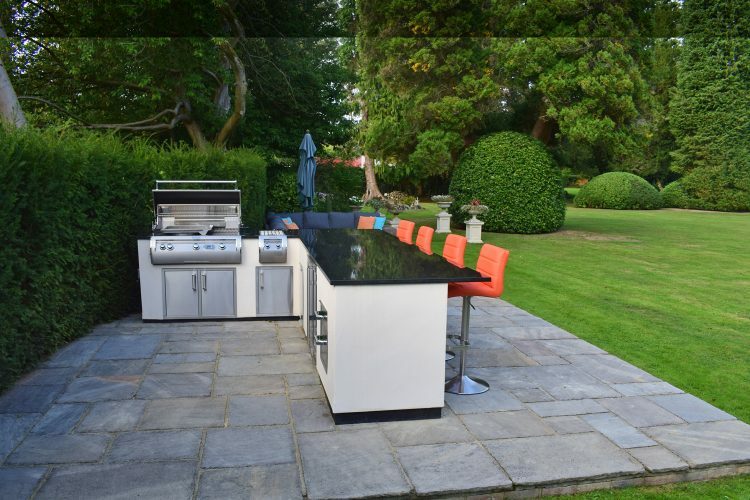 Our Outdoor Kitchen gallery is an ideal starting place for inspiration and you can use our free design service to create your dream Outdoor Kitchen, Garden Kitchen or Barbecue Area. Click here for more details on our recent outdoor kitchen projects. 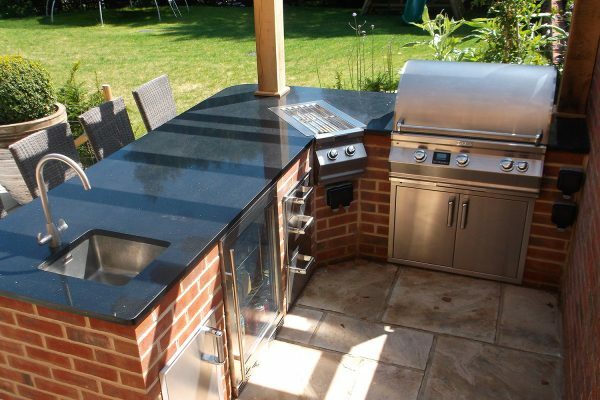 The dedicated team at Fire Magic have designed many Outdoor Kitchen projects. If you would like us to design and/or build the whole project, we would be delighted to create a design that meets your specifications. Our design service is free of charge, and we are very happy to support individuals, landscapers, garden designers and other industries. 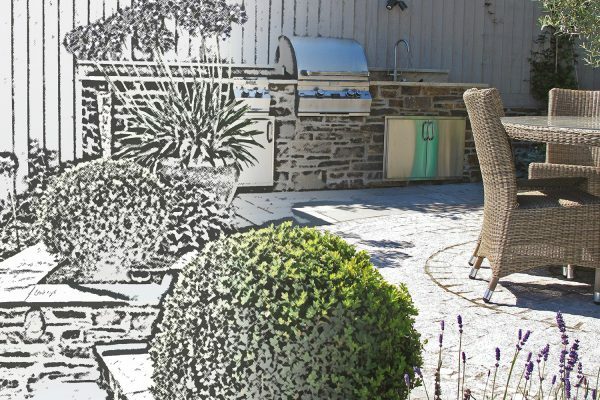 Find out more about Outdoor Kitchen Design. 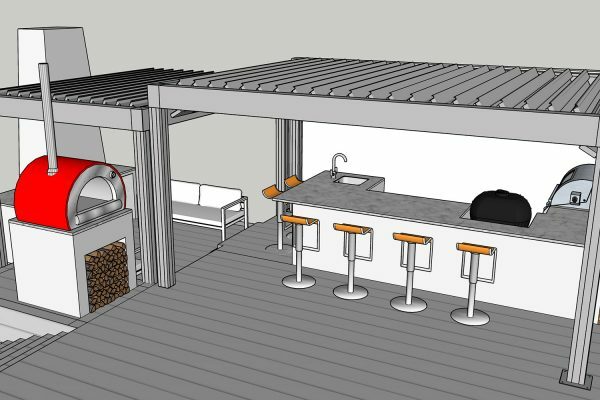 A Renson Louvered Canopy is the perfect partner to a Fire Magic outdoor kitchen. 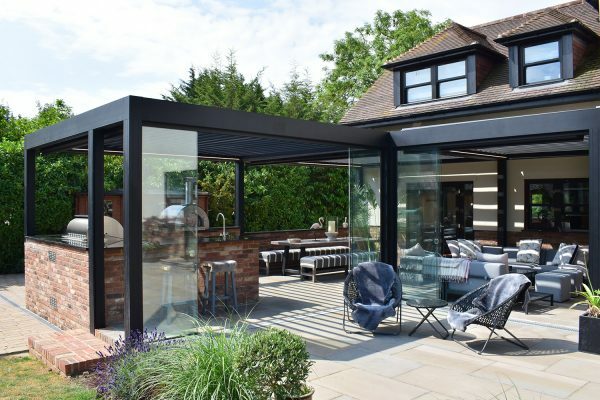 Sound Bars, Heat Bars, Up Lights and Rain Sensors make this contemporary canopy an alfresco dining delight. Connect multiple canopies to create a large entertaining area or dedicate a single cover your outdoor kitchen. Find out more here. 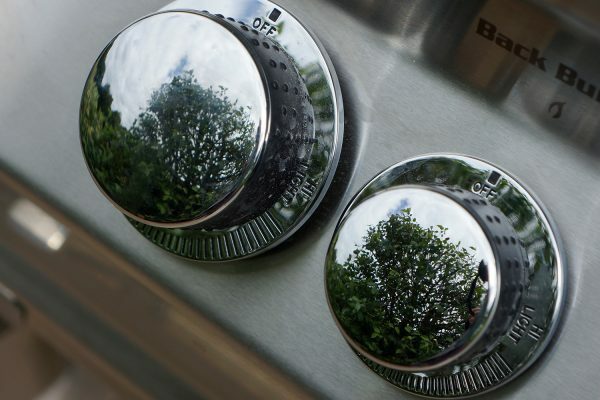 Choose a single built-in BBQ, or combine a Fire Magic built-in BBQ with our range of professional BBQ accessories including Side Burners, Warming Drawers, Doors, Fridges, Sinks and Storage Doors to create your dream Outdoor Kitchen. All supplied with a lifetime warranty, there are different styles and sizes available, and all are suitable for both bottled and natural gas. Explore our Echelon and Aurora ranges. Do you prefer the flexibility of a portable professional BBQ? If so our extensive range of deluxe BBQ and professional stand-alone cabinets and carts will meet your requirements. Supplied with a lifetime warranty and available in a range of sizes, Fire Magic Carts benefit from the same superior design and engineering as our built-in range. Explore our Echelon and Aurora ranges. Fire Magic gas barbecues have the added advantage of being able to use both gas and charcoal fuel at the same time. Combining the cooking power and convenience of gas with the flavour of traditional charcoal barbecues without fuss or delay. Simply pop in the charcoal tray and use the gas burners to start the charcoal, and within minutes your charcoal is ready to cook on. Find out more here.